I'm always looking for fun, unique gift ideas at Christmas and I love to give handmade items. 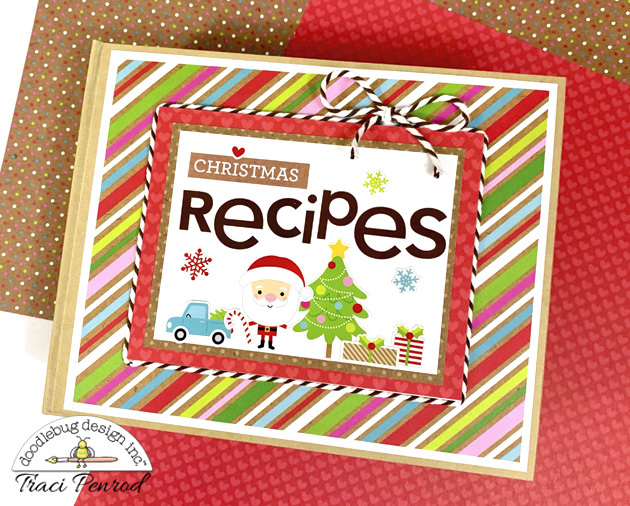 Here's a cute idea for passing on family recipes that are traditional favorites around the holidays. 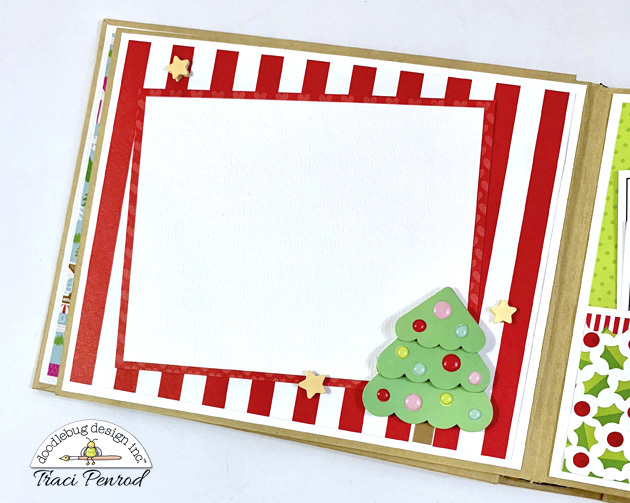 For this sweet little book, I used a chipboard album from Prima, paper from Doodlebug's Christmas town collection, and alpha stickers from my stash. 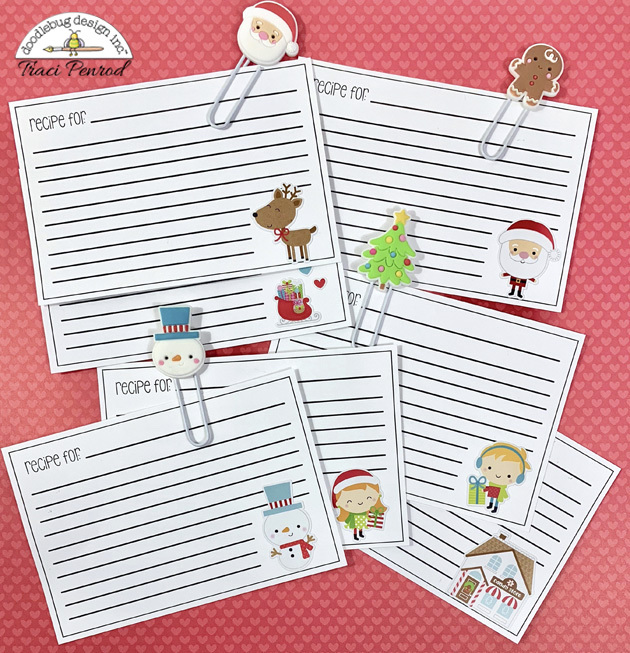 I used white card stock to create pockets in the album, perfect for tucking in some cute recipe cards and those adorable jellyclips! 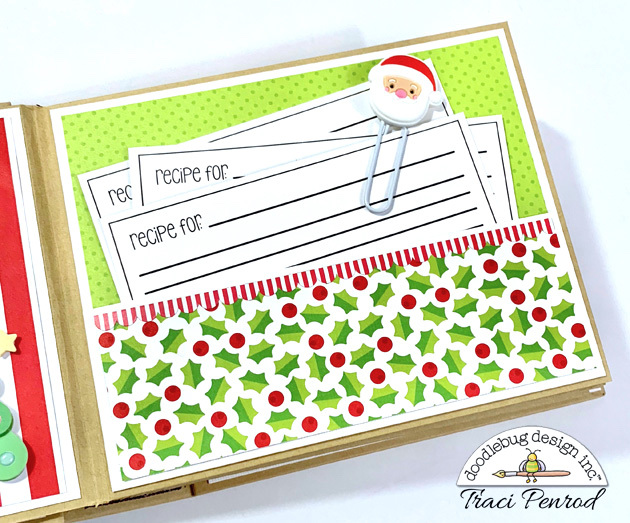 When I fill out the recipe cards, I plan to handwrite them with colorful gel pens in lots of Doodlebug colors! 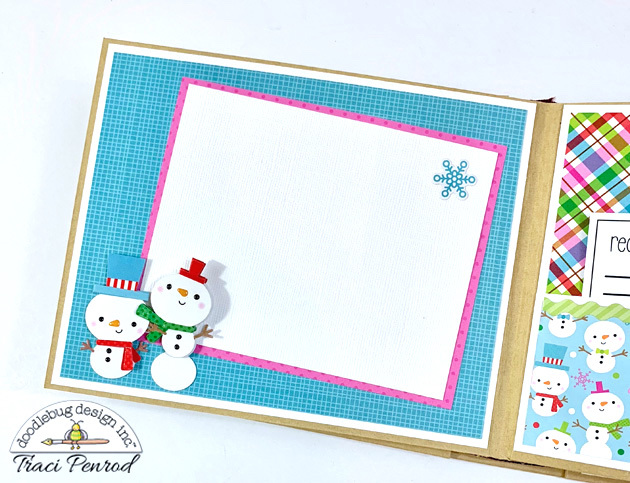 In addition to using the Mini Icon stickers throughout the album, I used lots of Doodlepops. I'll tuck a photo or a recipe behind this Sweet Spruce tree on the page above. 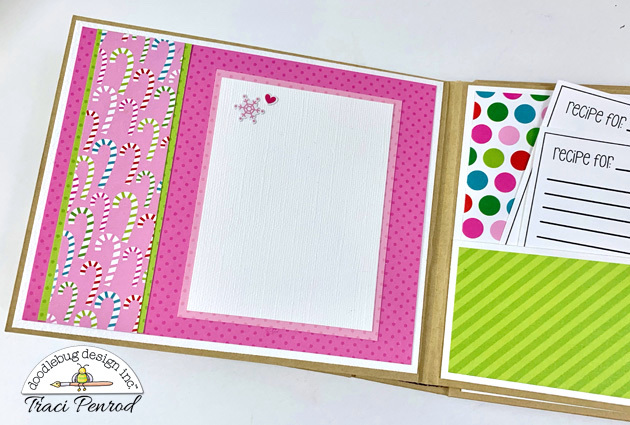 I found some border stickers from a past Doodlebug collection (Milk & Cookies) that looked cute across the top of the pockets. 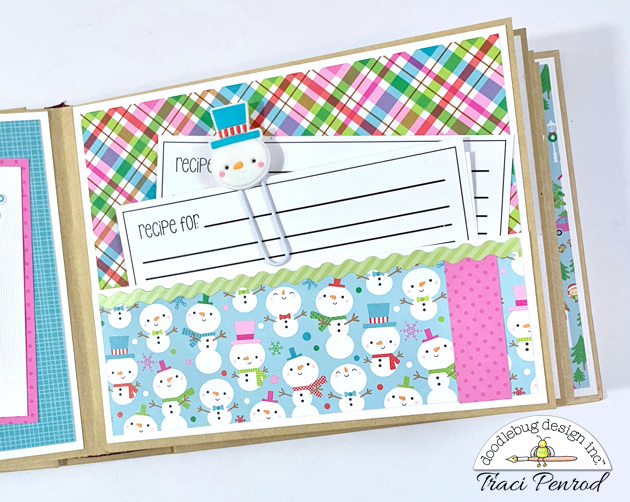 I love that Doodlebug collections coordinate from year to year since everything always matches! Do you give handmade gifts for the holidays? We'd love to hear about your projects, and hopefully I've inspired you with a unique gift idea today! Thanks so much for stopping by! I love this idea! It would make such a sweet and thoughtful gift!